Disclaimer: Results may vary from person to person. Please come for a consultation with our doctor for specific advise. 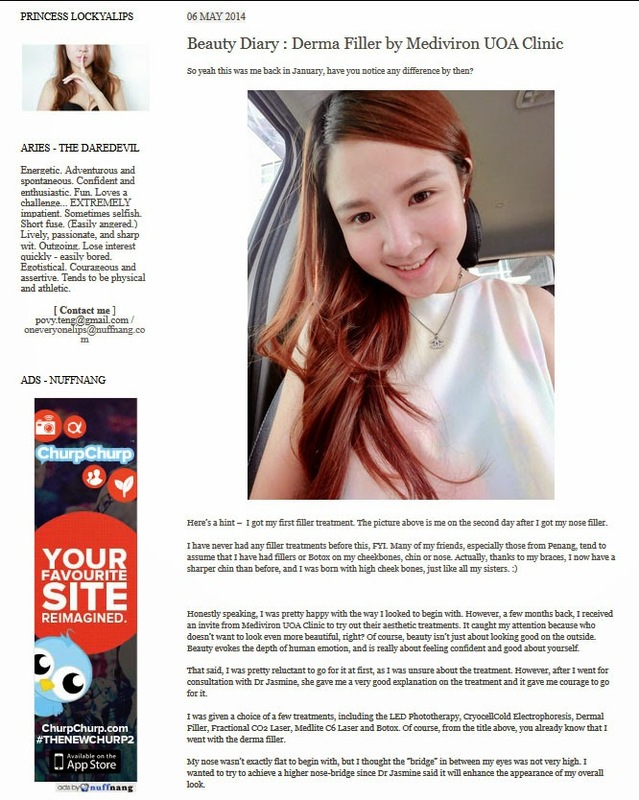 Our lovely blogger, Povy blogged on her experience with our Dermal Filler Treatment. She visited our clinic in January 2014 and from what she wrote, she felt that the treatment is pretty good for her!